Good news ! good news ! 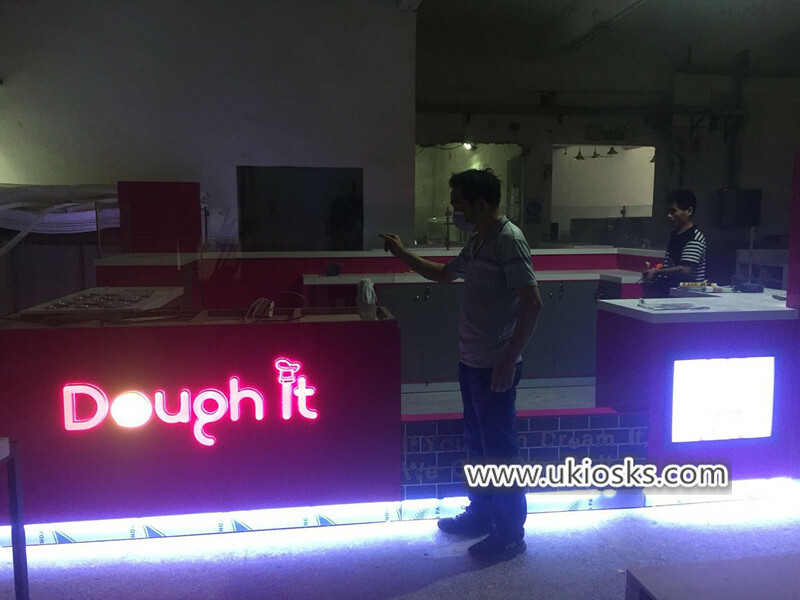 a modern ice cream kiosk is finished now , already is on the way to United stated . the customer will received it after one month ,I can’t wait to share it for your meet , let’s see more details at below . 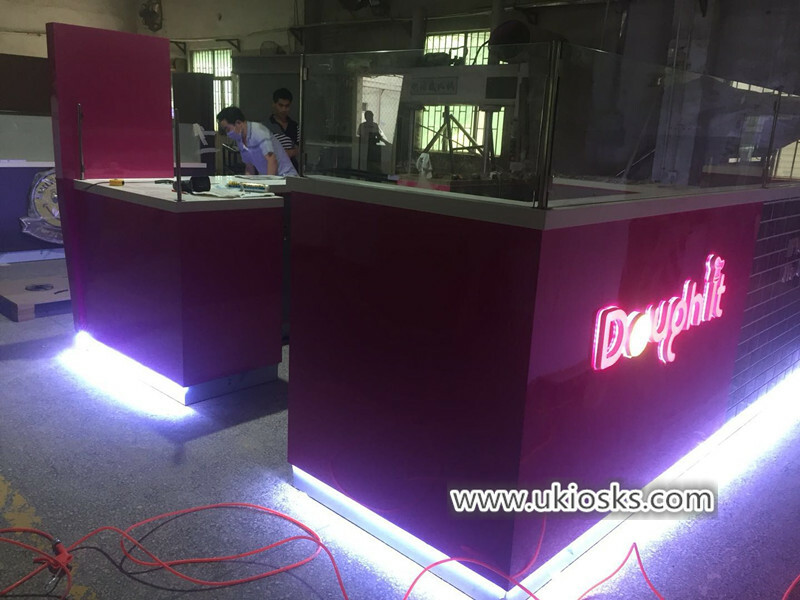 Material : the juice bar kiosk basic material is fire retardant plywood, surface is fire proof plate and grey tile decoration , white man made stone worktop . stainless steel skiring on the kiosk bottom , tempered glass dispaly showcase with cover . 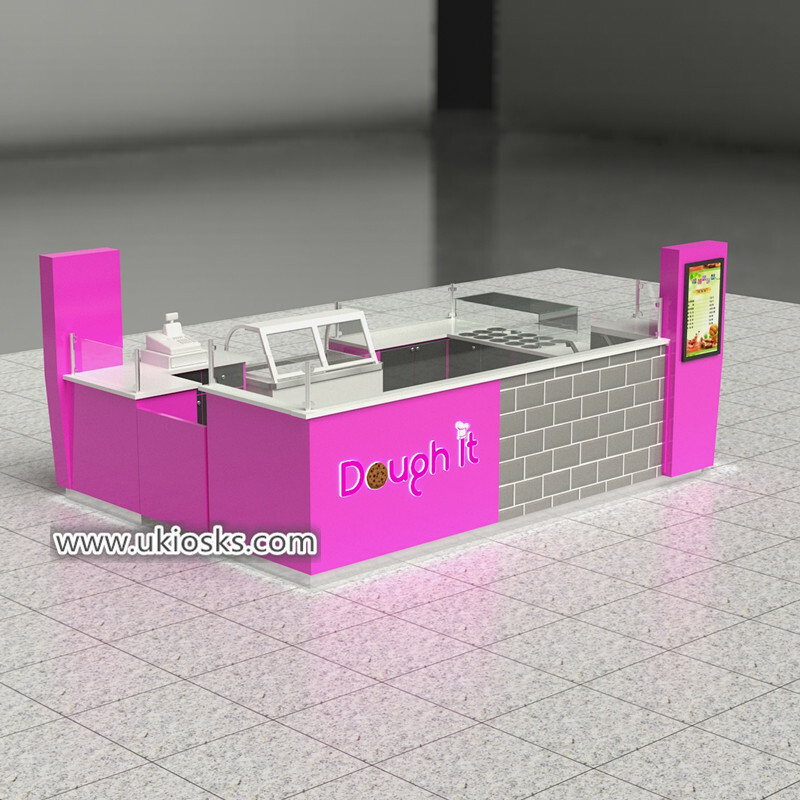 Layout : the front of this kiosk mainly for order and display , with a small cashier counter and ice cream display fridge , the left is a topping area with stainless steel container box and glass cover , the back sides with four wole stainless steel sink and wooden counter with cabinet , stainless steel skirting with white led light . 3.How can i customized a ice cream kiosk like this one ? If you plan start your own food kiosk in mall ,First, position your project and identify the services you want to provide you need try find a good location in mall . Of course, most shopping malls have basic requirements for the construction of a cabinet . That’s why you have to find a professional design team to help you design and get approval from the mall . after get mall approved . you can start this project produce and start this business. 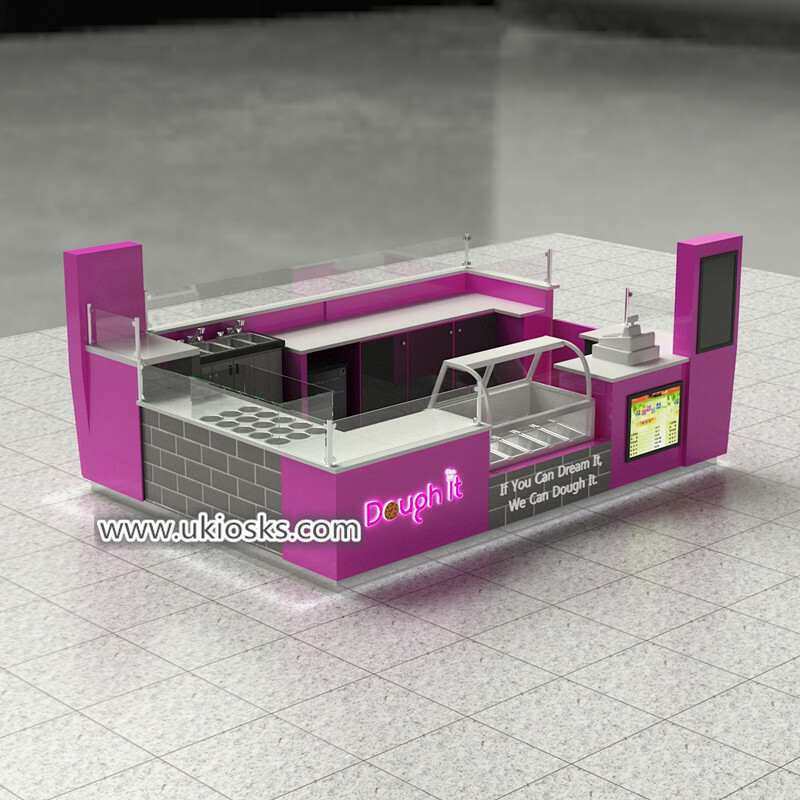 Thanks for your time and reading , if you want to know more further info or interested build a food kiosk like this one , pls feel free to contact us as below , thank you !